Bringing the streets of Obs alive! Once a year the streets are filled with art, performance and colour as residents, artists, civic bodies and NGO's participate in Obs's own street festival. 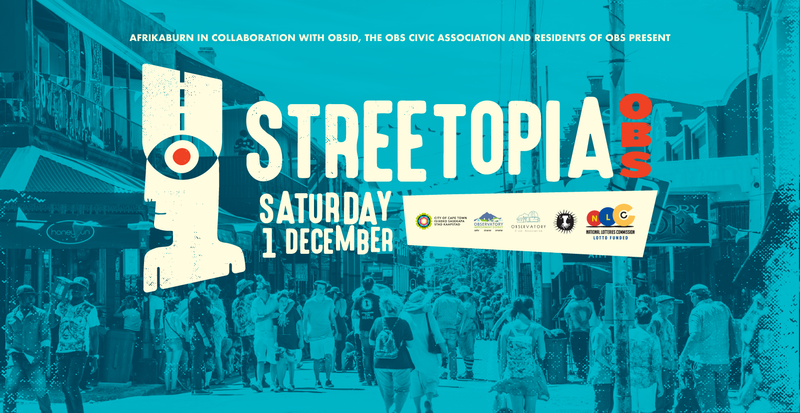 Streetopia is an annual event that sees the streets of Obs come alive for a day of colour, creativity and good vibrations. It's free, and everyone's invited. It's your event: you create the vibe, and the activities. All you need to do is think of something to contribute, and then get involved and do your thing. Picture a day of community, art, mutated vehicles, music, street performers, market stalls and gifting. A free community carnival. That's Streetopia. Here’s our event disclaimer folks – it’s is a legal formality that’s a requirement of our event permit, but as with any outdoor event, the usual rules apply: look after yourself, and others, and remember that (even in a public place) there are laws in place that relate to you, your possessions and unexpected accidents. Train Up As A Community Ranger!